Gallbladder and bile duct cancer affect fewer than 10,000 people in the United States each year. Because these cancers are relatively rare, it’s important for patients to get care at a center with expertise in treating these conditions. At the University of Chicago Medicine, our approach to treating gallbladder and bile duct cancers is a multidisciplinary one. Our Liver Tumor Program includes a team of experts from multiple specialties, including surgeons, hepatologists, interventional and diagnostic radiologists, interventional gastroenterologists, medical oncologists and radiation oncologists. Our program offers a comprehensive and detailed evaluation, bringing together the expertise needed to provide personalized care for every patient. We see patients with early and advanced-stage disease. And our physicians are equipped to handle complex cases, offering hope for those who have not been considered previously for curative options. Our physicians are actively involved in research and have made important advancements in diagnostic and therapeutic endoscopic and surgical techniques. Patients at our clinics receive access to novel treatment options, including the latest clinical trials of promising therapies. Clinical trials span various targeted therapies (such as drugs targeting IDH1 and FGFR, which are frequently found in gallbladder and bile duct cancers) as well as immunotherapies. What are gallbladder cancer and bile duct cancer? The gallbladder is a small, pear-shaped organ just beneath the liver. It stores bile, a fluid produced by the liver to help digest fats. After a meal, the gallbladder releases bile into one main bile duct (the common bile duct), which carries the fluid into the small intestine. Gallbladder and bile duct cancers begin in the lining of these structures. The tumors are usually adenocarcinomas — tumors that form in mucus-secreting glands. A common type of bile duct cancer, called cholangiocarcinoma, begins in the bile ducts either inside or outside the liver. What are the risk factors for gallbladder and bile duct cancers? In most cases, gallbladder and bile duct cancers develop in patients who are older, usually in their 60s or early 70s. They are more common in women than men. Gallstones and inflammation of the gallbladder. Most people with gallbladder cancer also have gallstones or chronic inflammation in the organ. However, most people with gallstones do not develop gallbladder cancer. Some parasites (liver flukes) found in raw or undercooked fish. Liver fluke infection is rare in the U.S., but can affect people who travel to Asia. What are the signs and symptoms of gallbladder and bile duct cancers? Gallbladder and bile duct cancer frequently cause few or no symptoms until they are advanced or have spread to other parts of the body. Gallbladder cancer is sometimes diagnosed during surgery to remove gallstones. Jaundice, a yellowing of the eyes and skin that can occur when a tumor blocks the bile duct, is often the first sign of bile duct cancer. About half of patients with gallbladder cancer have jaundice. How are gallbladder and bile duct cancers diagnosed? Ultrasound: To identify an obstruction or tumor in the bile ducts and find a mass or tumor associated with the gallbladder. Computed tomography (CT): To detect a tumor inside the gallbladder or bile duct and show if it has spread outside of the organ to the liver, bile duct or nearby lymph nodes. Magnetic resonance imaging (MRI): To create more detailed images of the liver and bile ducts than a CT or ultrasound can provide. An MRI can show if a tumor is only in the gallbladder or has spread to the liver. Endoscopic ultrasound (EUS): Involves a flexible tube, equipped with a camera and other tools, that is passed down through the mouth, esophagus and stomach into the small intestine. The scope uses sound waves (ultrasound) to non-invasively examine the bile duct, gallbladder and surrounding lymph nodes without surgery. If necessary, EUS can help obtain biopsies of tissue to help confirm a diagnosis or can be used to drain or decompress a blocked bile duct or gallbladder. Endoscopic retrograde cholangiopancreatography (ERCP): Similar to endoscopic ultrasound, ERCP also involves a flexible tube, equipped with camera and other tools, passed down through the mouth, esophagus and stomach into the small intestine. This procedure, performed by an interventional endoscopist, provides direct access to the inside of the bile duct and can show if it is block or narrowed. During ERCP, the endoscopist also can take a tissue biopsy or provide endoscopic therapy directly to the tumor. Surgery: To determine if cancer is in the gallbladder or bile duct and to take a tissue sample for biopsy. Biopsy: Is the final step in determining an accurate diagnosis of gallbladder or bile duct cancer. Tissue from the tumor and a bile sample may be taken through a needle guided by a CT scan, during an ERCP or during surgery. A pathologist will examine the tissue and/or sample under a microscope. Treatment for gallbladder and bile duct cancer depends on the type and stage of the tumor, the patient’s overall health and the chance of curing the disease or extending the patient’s life. Cholecystectomy: For very early stage tumors confined to the lining of the gallbladder. This surgery involves the removal of the gallbladder. For more advanced tumors, the gallbladder is removed and nearby lymph nodes and part of the liver may also be removed. Bile duct surgery: For tumors confined to the bile ducts. This surgery involves the removal of the bile duct and nearby lymph nodes. Partial hepatectomy: For large bile duct tumors inside the liver. This procedure involves removing part of the liver (a wedge of liver tissue, a lobe or a larger portion of the organ). Whipple procedure: For bile duct tumors that are close to the pancreas (known as extrahepatic or distal tumors). This procedure involves the removal of the gallbladder, the bile duct, the head of the pancreas, part of the stomach and part of the small intestine. Patients with gallbladder and bile duct cancer are not candidates for surgery if the cancer has already spread at the time of diagnosis or due to the location and severity of the cancer. Image-guided, minimally invasive procedures to help drain bile out of the gallbladder or a bile duct can relieve some symptoms such as pain, jaundice, nausea, vomiting and infection. These procedures may be performed through a laparoscope or through an endoscope or under radiology guidance. Endoscopic-directed therapy options also are available for patients who are not surgical candidates. 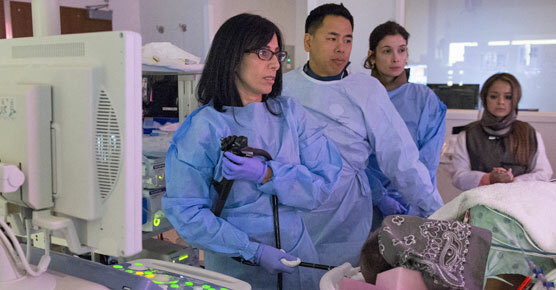 UChicago Medicine's interventional endoscopy program is one of the few centers that can provide non-surgical, endoscopic methods to treat unresectable or recurrent tumors, including radiofrequency ablation (RFA) or photodynamic therapy (PDT). In patients with persistent symptoms including jaundice, pain or obstructed stents, these therapies can prolong the time to recurrent symptoms or obstruction and in some cases, may increase survival. UChicago Medicine medical oncologists find innovative ways to integrate chemotherapy with each patient’s multidisplinary treatment plan. For patients who may become candidates for surgery, we integrate chemotherapy with local-regional therapies (such as TARE/Y90) to achieve maximum disease control, while allowing for the “future liver remnant” (remaining healthy liver tissue after surgery) to grow, to make surgery possible. This approach can potentially convert inoperable tumors to operable tumors. In this situation, the goal of chemotherapy is to eradicate early “micrometastases" — dangerous “cancer-initiating cells,” which can be hiding elsewhere in the body even before surgery. When a patient has advanced or metastatic gallbladder or bile duct cancers, chemotherapy may be used to slow tumor growth, relieve symptoms and extend survival. 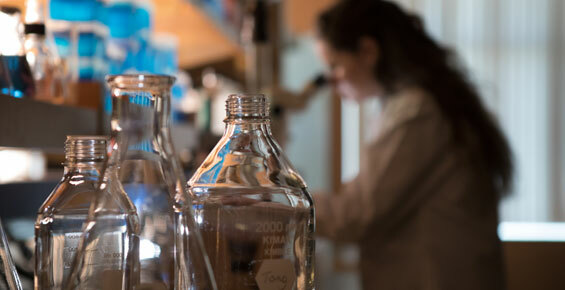 In addition to traditional chemotherapy, we are actively investigating newer approaches of systemic therapies (including targeted therapy and immunotherapy) for patients with gallbladder and bile duct cancers. Please refer to the Clinical Trials section for more information. Most commonly, radiation is given on consecutive days over several weeks in conjunction with chemotherapy. Intensity-modulated radiation therapy (IMRT): Delivers high doses of radiation more precisely than conventional radiation therapy. Subsequently, normal tissues can also be better protected, enabling higher doses aimed at the tumor. Stereotactic body radiation therapy (SBRT): Delivers a course of treatment in five days or less, using advanced methods of tumor targeting to facilitate much higher daily doses of radiation. At UChicago Medicine we have a vast array of technology for immobilizing and targeting tumors. In conjunction with pre-treatment placement of markers in select cases, these approaches can be used to provide pinpoint accuracy. Are there clinical trials for gallbladder and bile duct cancer? 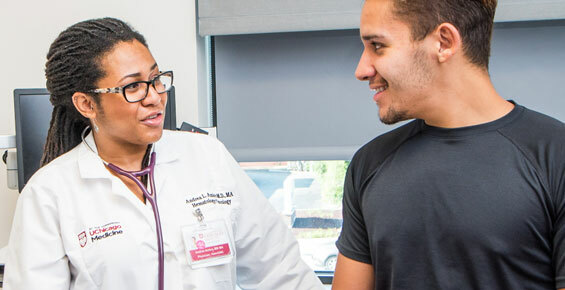 Patients who come to UChicago Medicine for cancer care have access to novel treatment options, including the latest clinical trials of promising therapies. Clinical researchers at UChicago Medicine actively investigate new therapies for gallbladder and bile duct cancers, including targeted therapy and immunotherapy options. Our oncologists are pioneers in this area — often among the first to offer certain experimental treatments for the disease. As a result, our patients have the opportunity to participate in several institutional and national/international gallbladder and bile duct cancer clinical trials. We are at an unprecedented era of discovery, where our new knowledge of disease biology has led to the development of promising new therapeutic strategies. Examples of current clinical trials include targeted therapies against genomic alterations such as IDH1, FGFR and HER2 in bile duct cancers, and a combined radiation and immunotherapy strategy for both advanced gallbladder and bile duct cancers.